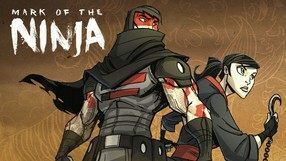 A remastered version of Mark of the Ninja, a hybrid of a platform action game and a stealth game. Compared to the original, the work of Klei Entertainment boasts refreshed visuals. Two-dimensional platformer by Klei Entertainment studio, creators of popular Shank series arcade games. This time the player takes on the role of a ninja warrior, and his main concern is the quiet movement among enemy patrols. The title is only available in digital distribution.